Did you know that you can save the bottom chunk of a green onion, stick it in a shallow glass of water, and grow a whole new one in just a matter of days? This little experiment may save you only a dollar or two and it probably won’t save you a trip to the store, but it will definitely delight your kids to watch this amazing vegetable grow right on your kitchen counter. In fact, it’s a great way to start an important conversation about sustainability and the ways in which your family can take steps toward a more responsible and eco-friendly lifestyle. We find that kids transition pretty naturally into good habits for the earth and for our own preservation of resources. At nature camps in the Bay Area, kids can choose activities such as Gardening, Marine Exploration, Forest Explorers, Culinary Arts, and Animal Care. By getting dirty and connecting with their neighborhood ecosystems, kids get to see, from the inside out, how it’s critical that we conserve the natural cycles of life all around us. Many kids have never before touched the soil and watered the plants that work so hard to provide food for us, even though our Bay Area homes are not at all far from California’s agricultural magnitude that provides almost half of all produce for the whole country! When kids know only the grocery store—or perhaps they know only that food always seems to be available in the refrigerator—they are missing out on an important fact of life: we have to continue to support and empower the resources that support and empower all of us. 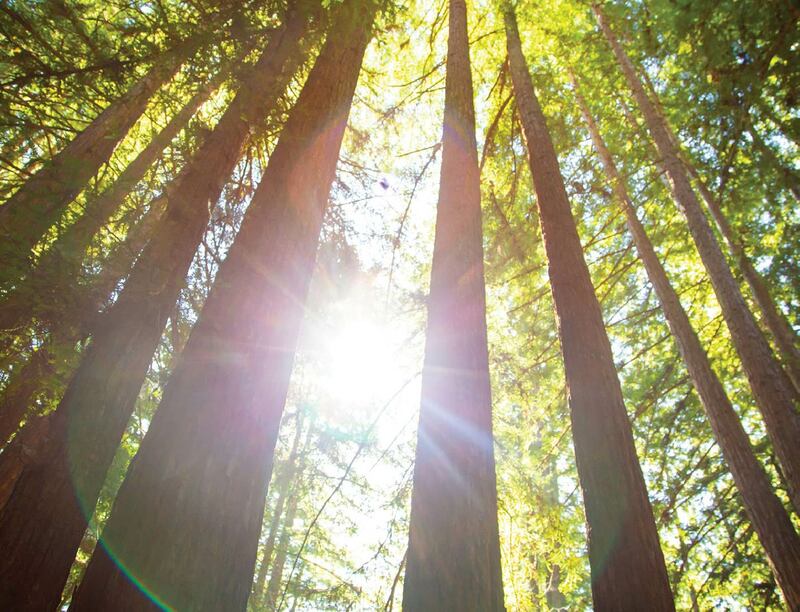 Camps in the Bay Area that bring kids closer to nature and to the many layers wrapped up in our daily resources help them to see the complexities first hand. Here are some ways that you and your family can dig deeper into this awareness and develop good habits in sustainability at home. Try building a home garden. You can start small and expand your space and your small-scale crops each year. As a family, go to a local plant nursery and speak to one of the experts there.They’re in a good position to give recommendations for plants that do well in your area, and they’ll likely have some tips to help you make the most of the microclimate you’re in. There’s benefit in planting not only food crops that you bring right into the kitchen when ripe or eat right off of the plants, but also flowering plants that help the endangered bees and butterflies to survive and thrive. You can learn more about how to use herbs for flavor, as well as for their natural healing properties. 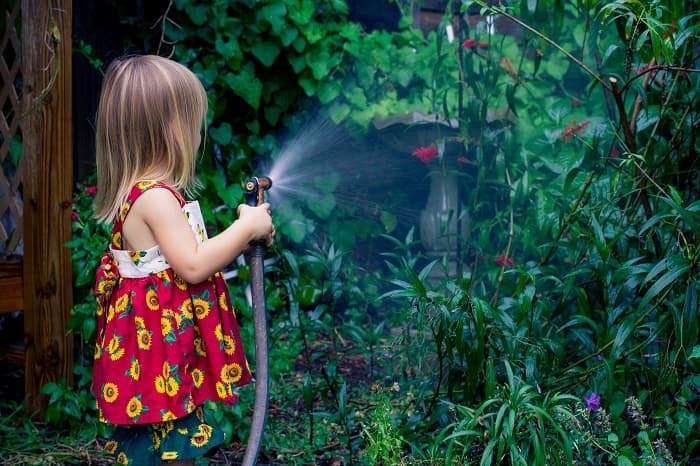 When your kids come home from camp, they may have even more ideas for how to kick off your garden project and how to do so sustainably. Connect with Community Supported Agriculture. Sign up with a local farm for a CSA produce box you can pick up or have delivered on a regular basis. There are so many CSA programs around the Bay Area. You may not be able to select the fruits, veggies, and herbs that you’ll get with each box, but you will be exposed to new and interesting foods. The foods you get will be truly seasonal, unlike so many of the fruits and veggies found in stores that spent most of their time ripening off of the plant and may have even been manipulated into ripening earlier or later than natural. When you get the bulk of your produce from a CSA, you can also be more aware of the conditions and chemicals involved in their cultivation. Chances are good that your family can get a tour of the farm; ask for advice from the farmers about your own garden or ways to prepare the veggies in your box; and maybe even spend a little time volunteering on the farm and helping to care for those foods that will end up in boxes for other families in your community. With this unique down-to-earth connection, picky eaters may be more willing to try fruits and vegetables they were wary of before. Do you have some ideas for ways I can reuse trash and recyclables around the house? How can I start a compost bin at home and then take care of it myself? Do you have any tips for buying and storing foods in bulk, so we can cut down on packaging? How can I help other people learn about simple ways to be more environmentally responsible? These community connections can be great resources for you and your kids to learn more about effective ways of bringing your family closer to the earth and further from the waste and environmental destruction that results when we are out of touch. Simultaneously, being connected in these ways also supports the people who are working hard to be responsible in their own lives and to set an example of sustainability for others to follow. At Kennolyn, when kids learn to cook with the very food they’ve helped to grow, they understand the value of their own efforts, and they begin to see our larger societal resources in a new light. They get to make important connections that they may have never recognized before. At nature camps, kids don’t just play outside; they learn about ecosystems’ inherent challenges and the unnecessary challenges that humans introduce, they make stronger personal connections to the environments they can help to conserve, and they come to understand that their part in the cycles of life is not separate from these environments. They develop an early and earnest desire to make changes in their daily lives to live for the world around them rather than against its natural rhythms. If you would like to learn more about how Kennolyn and other nature camps in the Bay Area guide kids to develop sustainable community values, give us a call. We’d also love to hear about what your family does to be more environmentally friendly at home.